Method Man, Ghostface Killah & Raekwon, Nas, Raekwon, Bounty Killer & Klashnekoff, Notorious B.I.G. & 50 Cent, Nas & Large Professor and more. We&apos;ve just celebrated our 50th episode of Enjoy and be Educated, and this week marks 1 year we&apos;ve been on the air; the milestones are consistent, but welcomed wholeheartedly. For this edition, we&apos;ve decided to highlight various blends/remixes we&apos;ve done over the years, as there&apos;s no higher form of creativity than creating a new song out of previously recorded material. Hence, our 2nd installment into our series, "A Trip Down Mixtape Memory Lane". With a collective catalog spanning 10+ years, there&apos;s no shortage of material to showcase. 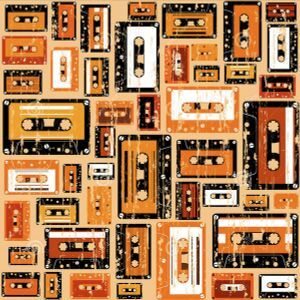 Here are some of our favorite and well-received mixes; as a dedication to the mix tape pioneers, be sure to listen for the segment where a live remix is done on the air. We&apos;d like to thank our listeners, radio staff and our affiliates as we look to an even better 2nd year. As always with The Diggers Union, enjoy and be educated. THE *BLENDS ON HERE THOUGH..... #MASTERPIECES !!!! !